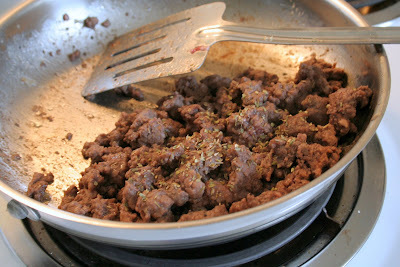 Brown the meat with Onion. 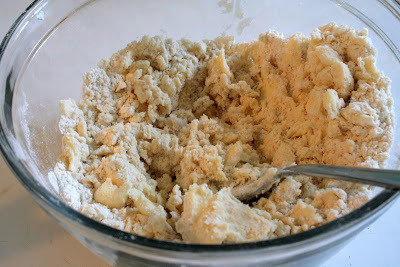 Start on your dough by mixing the Flour and Shortening. 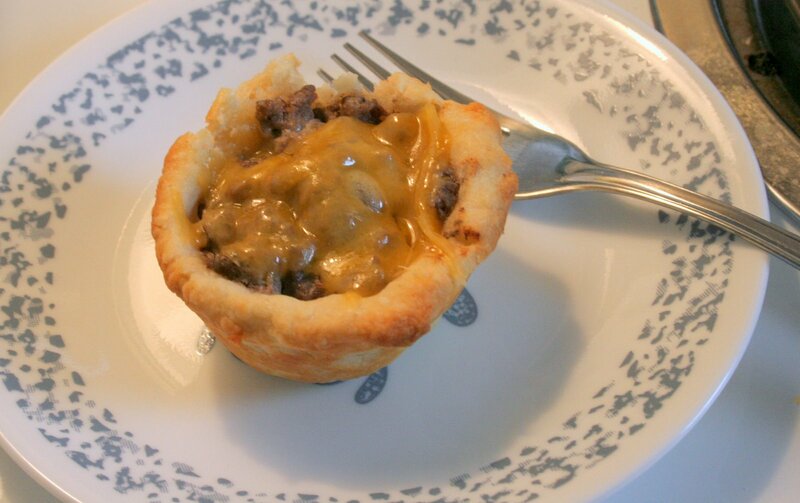 I just used a fork. 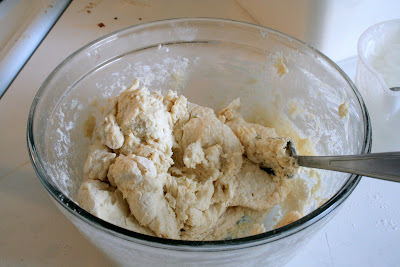 Add the Salt and Sour cream to the dough and mix some more. 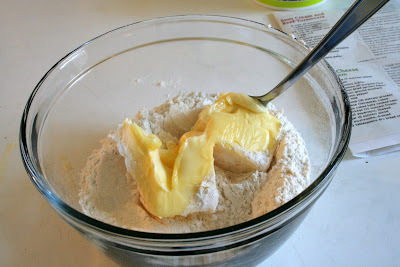 You can add Flour or Water to this depending what will make it easier to work with. 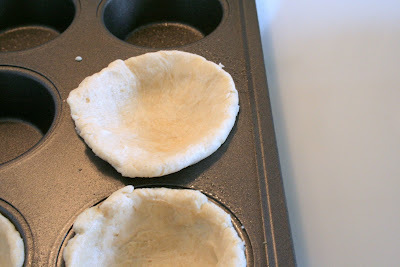 I just rolled the dough into a ball, flattened it, and then pressed it into a muffin pan. 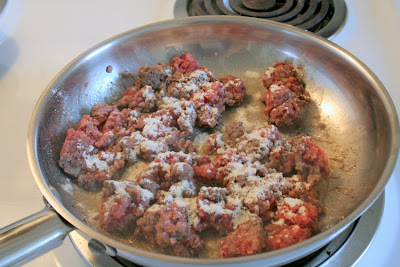 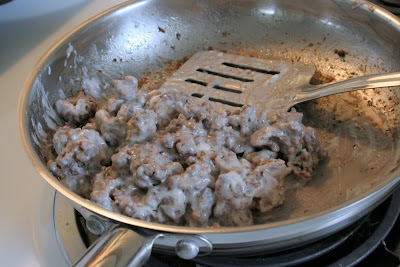 Fill up with the Beef mixture. 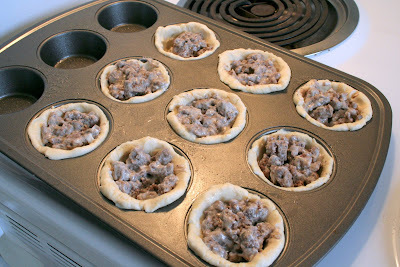 Those look pretty darn good. 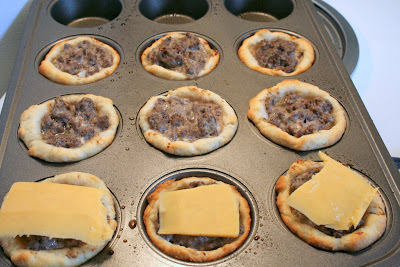 How'd they taste?